The ravages of alcoholism not only affect the alcoholic but the lives of everyone around them. The escape isn't easy and the end result can be disastrous. Late author Steve Allen was an alcoholic who overcame his battle and yet lost in a terrible relapse. His story is here to help those who find themselves trapped in a bottle of despair. There is hope. 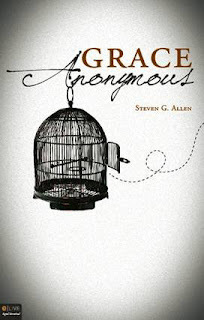 In his book, “Grace Anonymous,” Allen describes how he started drinking at age fourteen and eventually entered rehab for the first time at age twenty-seven. After several tries he finally became sober and remained sober for eighteen years. Believing he was “cured” and could handle “moderate” drinking, he started again, but found he couldn't stop and soon lost his wife, his children, his job, and everything he owned. In the midst of his drinking, detoxing, rehab, and drinking cycles, he met his third wife and finally became sober again, which inspired him to write this book. Shortly after writing this book, the damage to Allen's body took its toll. This is his story, his struggle, and his hope to help readers undergoing the same experiences. There is hope. Allen wrote this book to share his story and to offer the gift of hope for the suffering alcoholic. It is never too late if one believes and works through the steps of AA that recovery can happen. Katie Gattman, of Port St. Lucie, Florida, will be promoting the book in her late husband’s memory. For more information, visit graceanonymous.tatepublishing.net, or contact Terry Cordingley, Marketing Representative, at (888) 361-9473 or terry@tatepublishing.com.